Sometimes when I tell people in Christian circles that I’m a writer, they smile at me and reply, “That’s good. We need more good articles.” Their faces go from interested to shocked when I calmly explain that I write books. Not doctrinal, nonfiction books, but fiction books. They don’t know how to react. It is ironic how the same people that decry the lack of good literature for their children don’t do anything about it. Nor do they understand when anyone else does something about it. Writing fiction is somehow…lower. It isn’t the worthy calling that writing nonfiction is. Except that this idea isn’t true. Fiction writers are just as necessary as nonfiction writers. Because the Story format is important to convey empathy and characters in a way nonfiction articles struggle to do. Look at the Bible for example. We talk about Bible stories. Most of the Bible is written in a story format. Even books like the Psalms or Ephesians, or any of Paul’s letters have the back story contained in the rest of the Bible. Would Psalm 51 have as much power if we didn’t know the story of David’s sin with Bathsheba and his murder of Uriah? Think of some of the phrases we learn as children. Dare to be a Daniel. Have faith like Father Abraham. Would these phrases even have meaning if we’d been told about Daniel in a factual lecture instead of as a story? As children, we learn about courage from the stories about Daniel or Joshua. We see the self-sacrifice that faith demands from the story of Abraham. We see the consequences of sin in the lives of many of the saints. We learn through stories, through stepping into someone else’s shoes and walking with them for a while. We learn by the examples we see in stories better than we do through simply being told this is how you should live. All those Bible stories are true, and perhaps the argument could then be made that Christians should only write nonfiction stories about real people and places. Except that Jesus himself told fiction stories. Jesus’ parables weren’t stories based on people that actually lived. They were fiction. Fiction can be just as powerful as true stories at digging at a deeper meaning. In fiction, an author puts the reader inside another person’s head. The reader becomes that person, feeling their emotions, understanding their fears, desires, and dreams. Through reading, we learn empathy for others. We learn to see the pain that others who aren’t like us carry. Stories can also shine the light on ourselves. In the Bible, Nathan the prophet didn’t get in David’s face when he confronted David about his sin. Nathan told a fictional story. David sympathized with the wronged man in the story, only to realize at the end that the bad guy in the story was him. It shook him in a way that nothing else could. That story had power. 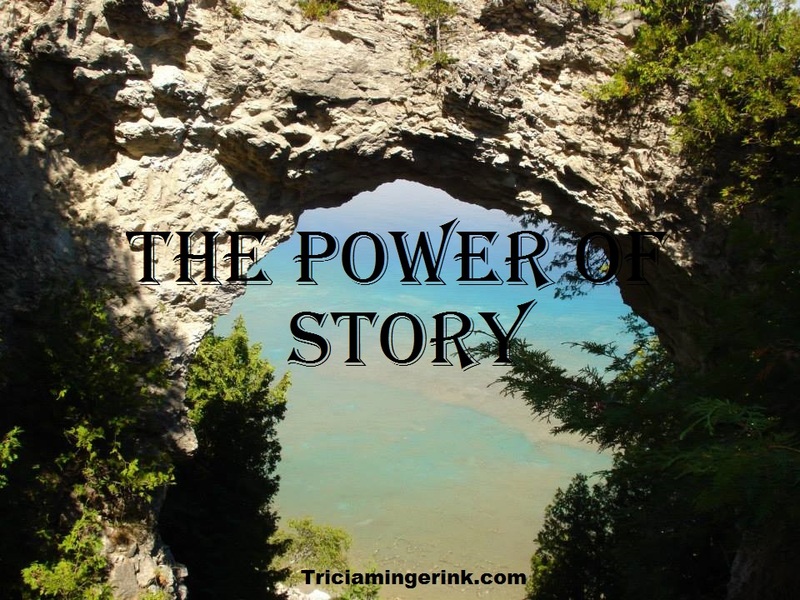 What Bible stories hold the most power for you? Why does that story strike you? That is a humbling moment when someone tells you their stories touched them. Great post! Thanks for doing it! 🙂 I totally agree with drnmusings.